Getting the most for your real estate sales means doing more than putting a "For Sale" sign out front. In this competitive market where new homes for sale are added daily, your listing needs to be seen in a variety of places in order to stand out. Especially in our unique market of high numbers of warm-weathered relocations -- the right buyer is very often waiting out of state. To ensure sure your real estate sale gets noticed and sells without a hitch for full market value, work with a MyOwnArizona professional. It could mean the difference between no sale, or getting the price you've been waiting for. It's a fact: 85% of buyers now use the Internet to search for properties. It's a fact: to get buyers to your property, you need exposure, exposure and more exposure. It's a fact: at MyOwnArizona we view our all-inclusive marketing plan to guarantee the greatest exposure to the largest audience of buyers. 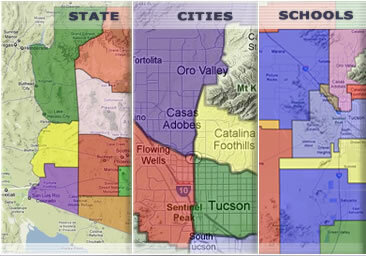 MyOwnArizona puts your property on more of the Top Ten real estate Internet sites, providing exposure to 94% of the unique visitors on the those sites including www.Realtor.com, www.MSN.com, www.USAToday.com, www.AOL.com and www.Trulia.com. We supplement with our own www.MyOwnArizona.com site and such local sites as the www.AZStarnet.com, www.TucsonCitizen.com and www.Tucson.com. And for out-of-state relocation and we've got that covered with www.UniqueHomes.com and www.WallStreetJournal.com. International buyers are coming from all over the world, your property needs to be exposed to the world. We put your listing on www.WorldProperties.com, which features unique exposure to local websites in 25 countries in seven languages. » MyOwnArizona is exposing your home to hundreds of thousands of local qualified buyers through the MLS Multiple Listing Service. 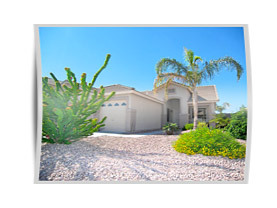 » MyOwnArizona is marketing your home on several local, national and international Real Estate markets, including this one. 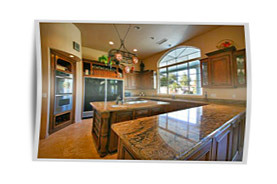 » MyOwnArizona is networking with other top Real Estate agents to get your real estate listing sold fast. 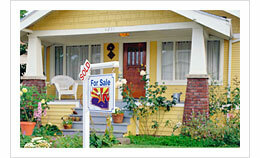 » MyOwnArizona is negotiating aggressively on your behalf at every stage of the transaction. » MyOwnArizona is staying in touch throughout the selling and closing process. And, there is so much more to share with you.